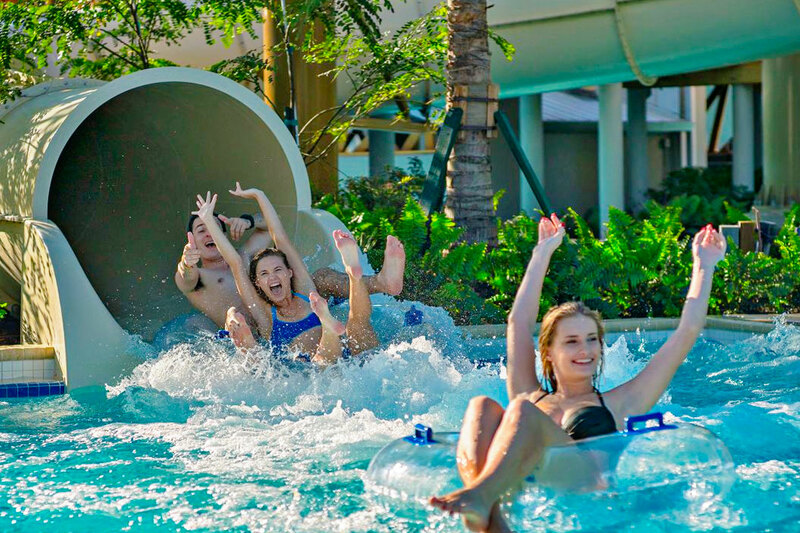 Spend the day at the largest resort poolscape south of Orlando, with three acres of pools, lazy river and tremendous waterslides. 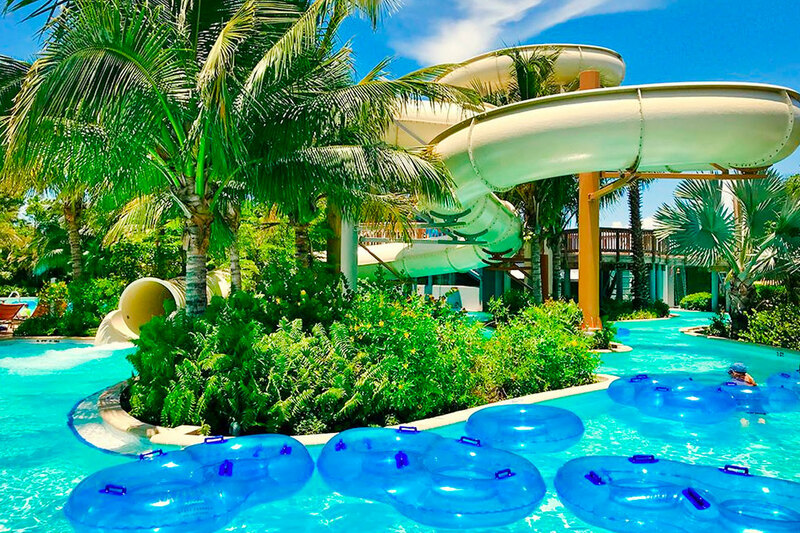 Climb three stories high to the top of the waterslides and ride at speeds up to 30mph down the twisting-turning tubes and plunge into the splash pool. 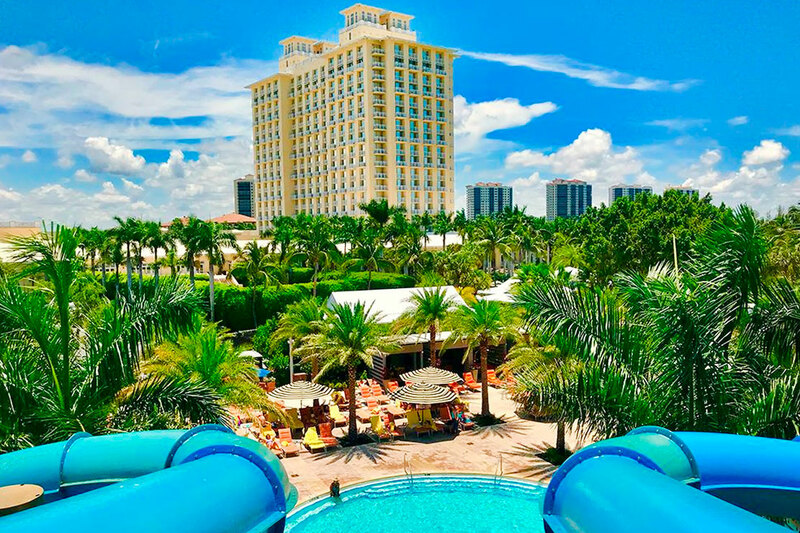 Float your cares away with a gentle ride down the lazy river through the shade of palm trees. 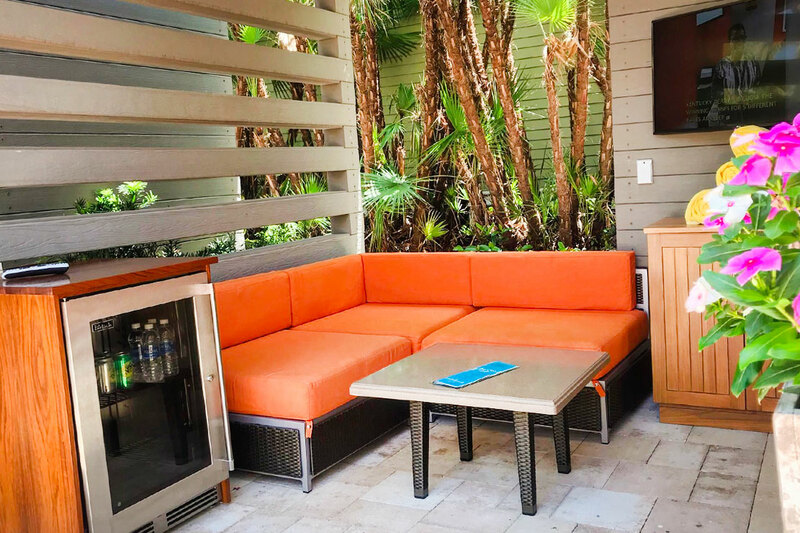 For the ultimate luxury, book a cabana with comfortable furnishings, chaise lounges, refrigerator, TV and ceiling fan, and exceptional service. 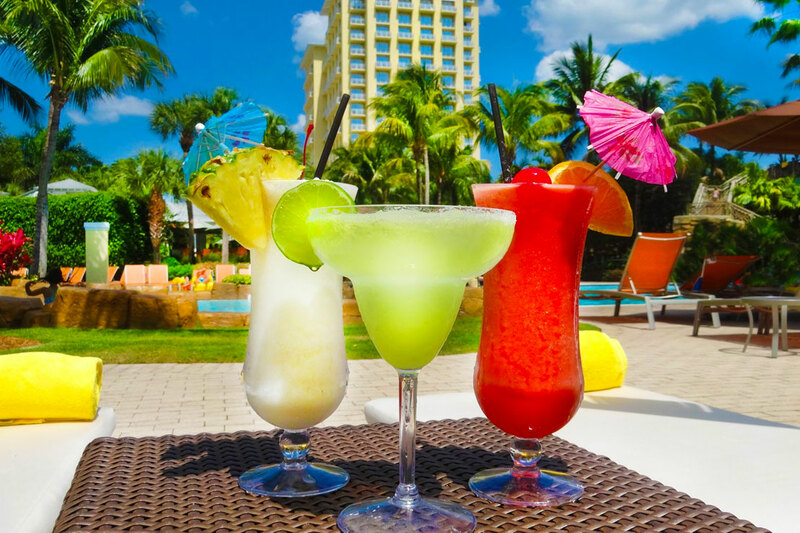 While soft Caribbean music makes you feel like you’re on vacation, lift the little blue flag on your chaise to order a frozen tropical drink, fresh salad, sandwich or burger. 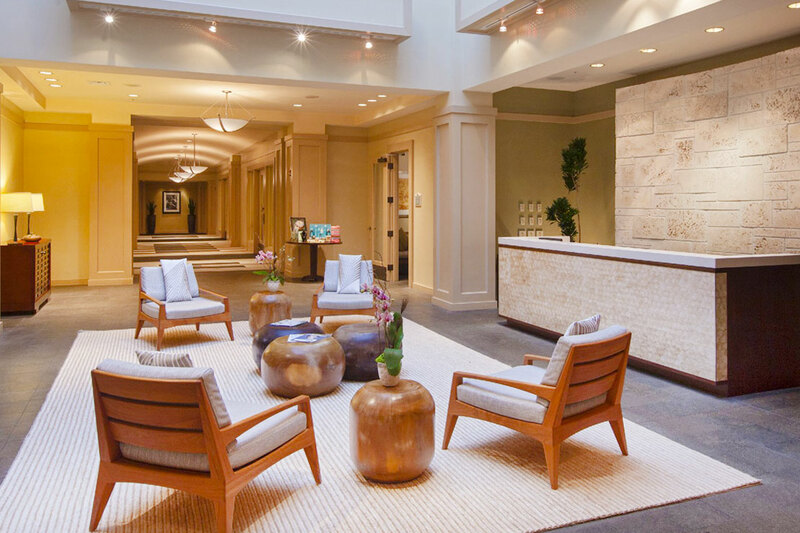 Spa Pass does not include outdoor pool and amenities. 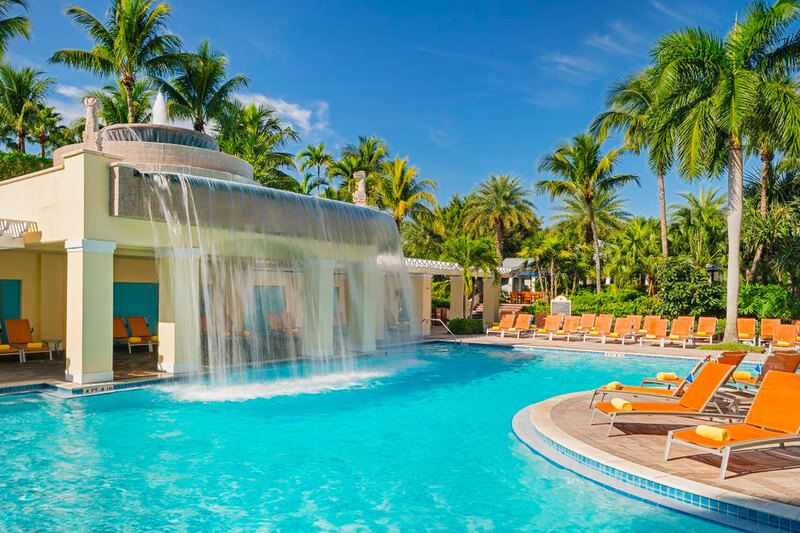 Cabanas can be cancelled by 5:00pm EST on the day before your booked date. 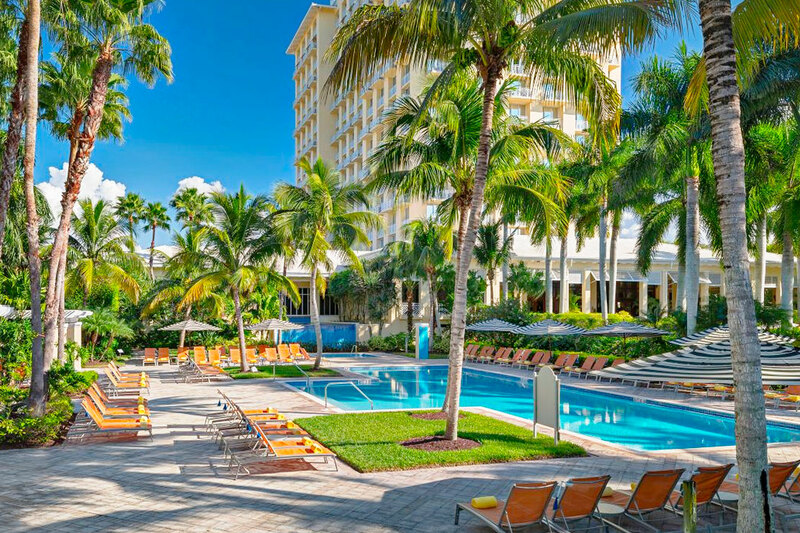 April 20, 2019 Joe M.
We had a great experience with the day passes we booked for the Hyatt Coconut Point pool area! The website was straight-forward and user-friendly. The hotel couldn't have been any more accomodating, especially when they allowed us to change our reservation days due to stormy weather (lightning) during the day we had originally booked. 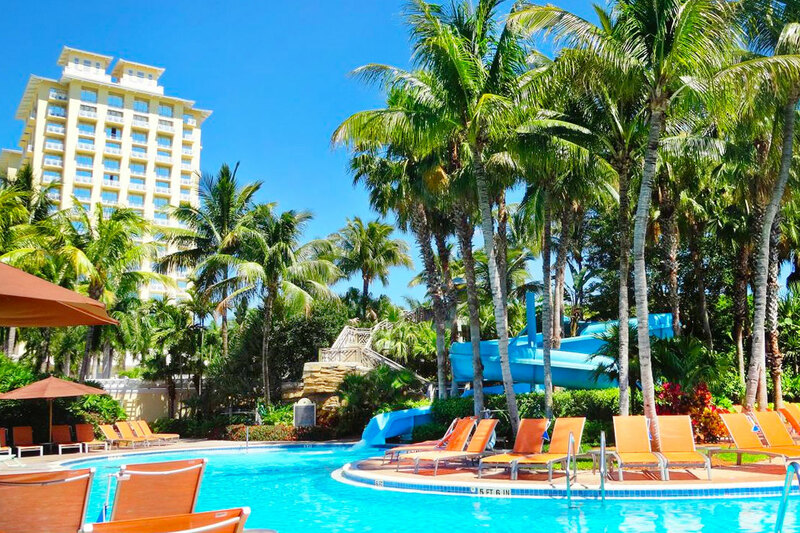 The pools were great as expected, as were the water slides and lazy river! Plenty of families with kids of all ages in the pool area, so there were definltely no worries about kids getting too "energetic." The price was a bit high, which is the only reason for the 4 stars instead of 5. We look forward to the next visit! 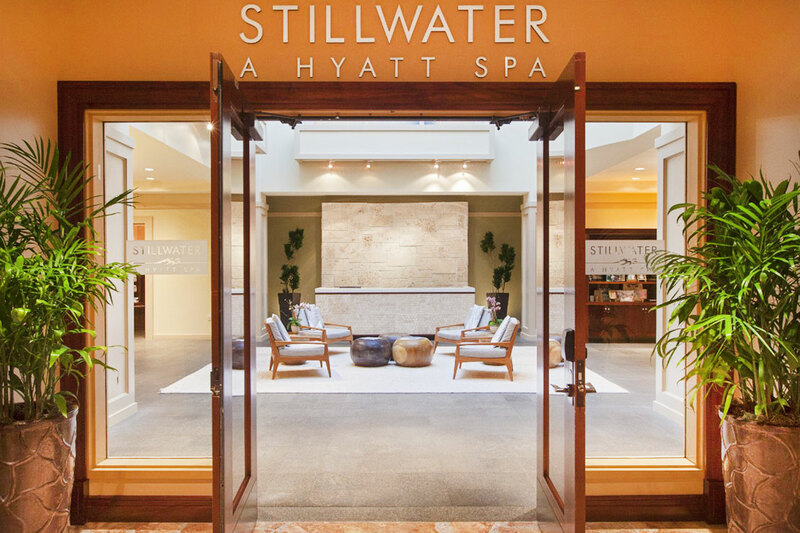 March 28, 2019 Sally S.
Wonderful day at the Hyatt. Had a cabana. It was well worth it. Kids had a ball. Food was pricey. Service was great. March 21, 2019 Roger B. Wonderful day for the grandchildren at the water park ! Sparkling clean . The wait staff at the pool bar and around the pool we’re excellent, friendly , efficient and attentive. March 17, 2019 Tracy S.
We had a great time. The staff was super friendly and we had a blast. The weather wasn’t the best but we still had fun!! 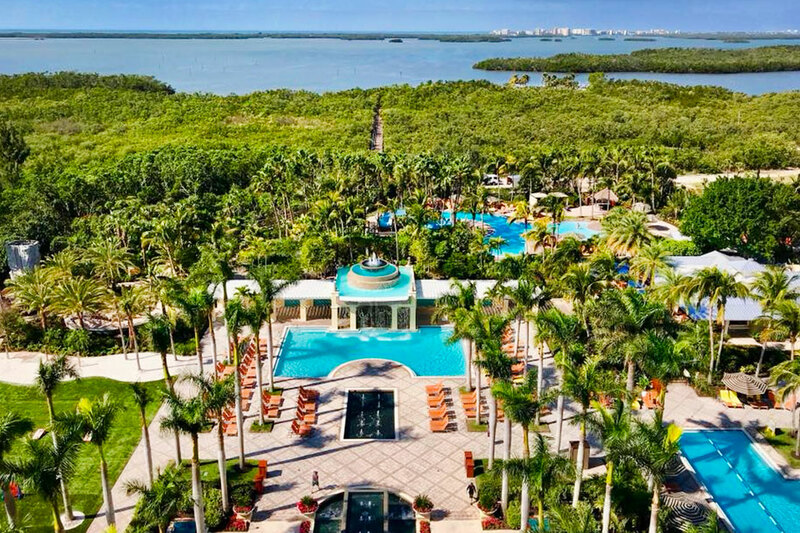 March 13, 2019 Lisa G.
Gorgeous pools and tropical, lush pool area. Lots of different Seating options in sub, shade, etc. 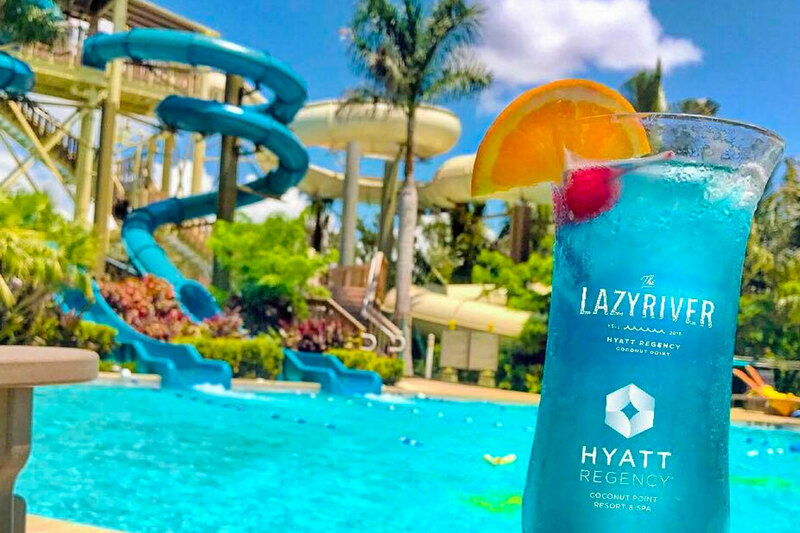 Great poolside services and menu. 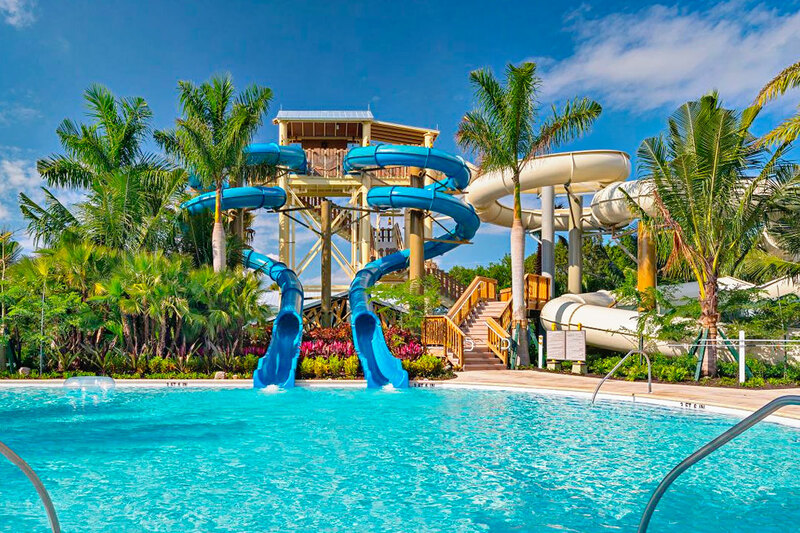 Family absolutely loved lazy river and the water slides were great! Will definitely go back for a daycation. 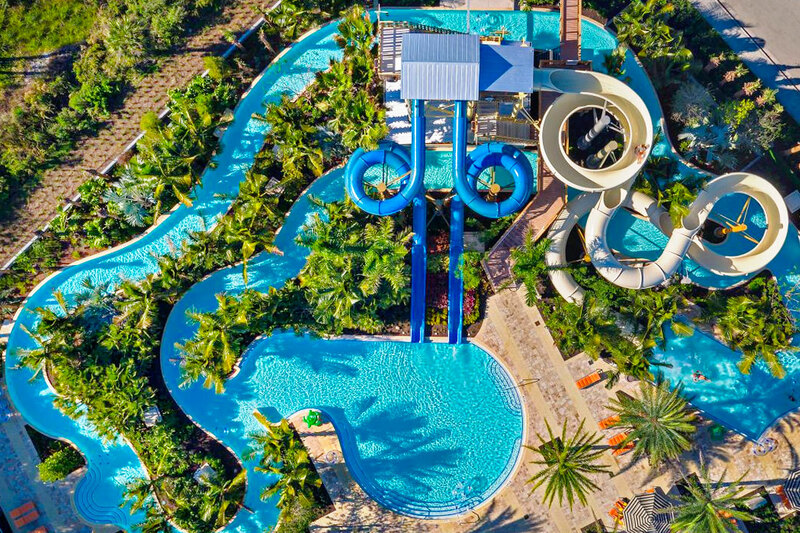 We went during spring break and resort pass prices were high ($70 adults, $40 kids) so looking forward to rates dropping to be more reasonable.